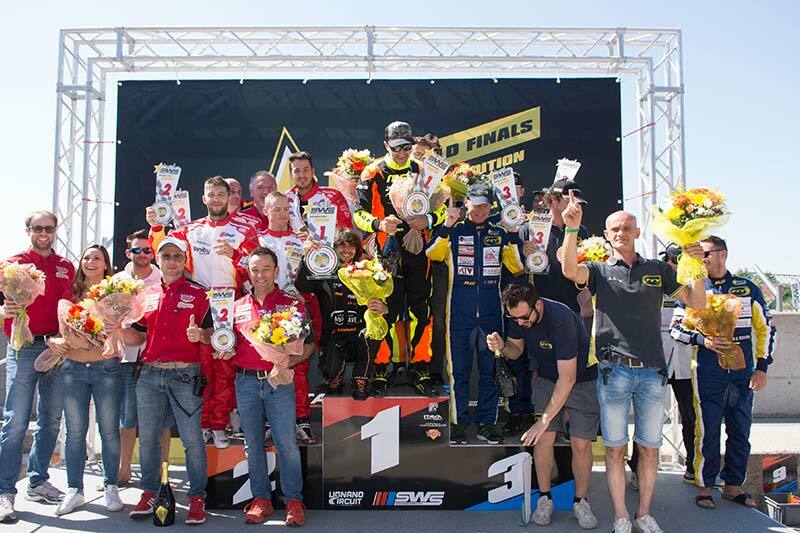 For the first event held outside France, the 8th edition of the Sodi World Finals was a great success from 14th to 16th June, 2018 on the Italian circuit of Lignano. Nearly 300 drivers from 40 nations from all five continents were delighted to participate in the world's largest leisure karting event perfectly organised by the Sodikart staff with the support of the circuit team. The three days of fantastic races on a beautiful circuit in beautiful weather ended in style at an exceptional closing ceremony in the heart of Venice. The wide and fast circuit of Lignano was perfect for the event with its high-quality facilities offering a panoramic view of the entire track to the spectators who came in large numbers. 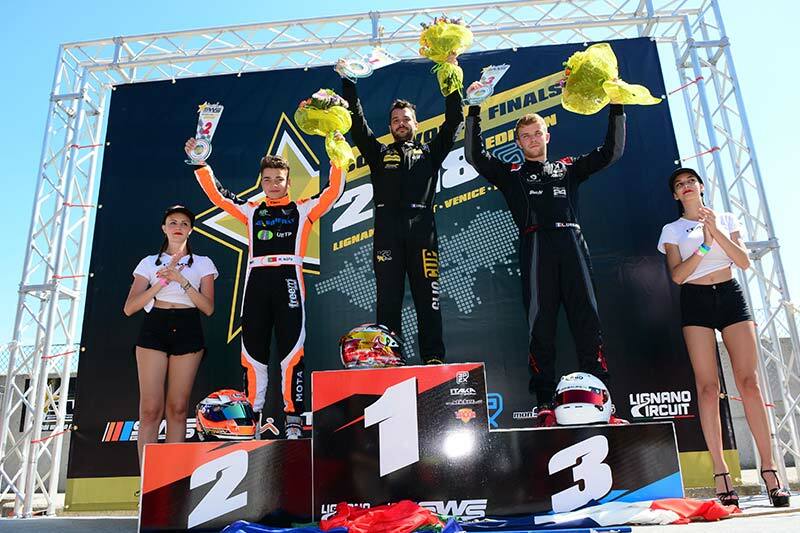 For the first Sodi World Finals organised outside France, the Lignano venue was ideal. To top it off, the Italian restaurant met the expectations of all during the event. Logistically, the world leader in karting has provided a service that lives up to its reputation. 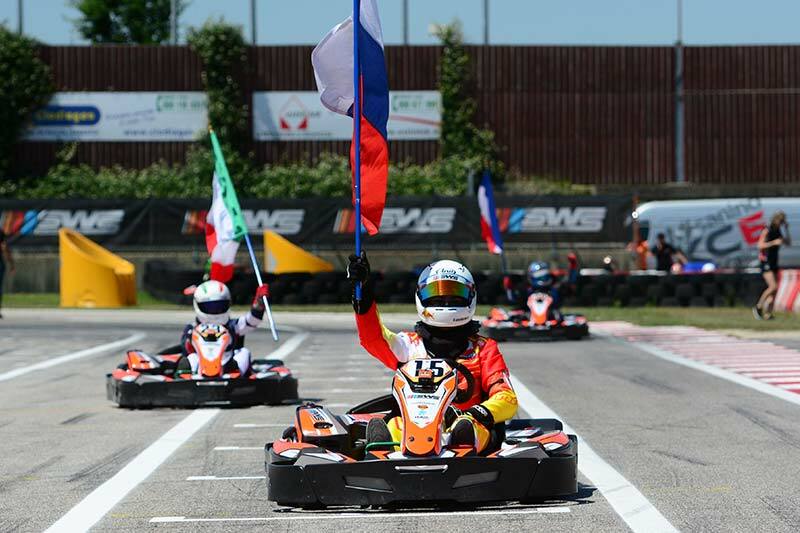 Sodi specially manufactured 100 karts that were calibrated by the technical staff of the Sodikart factory and a prestigious specialist, the factory Sodi driver Alex Irlando, winner of the 2017 KZ2 World Championship. A systematic and random mix of karts between each run guaranteed an indisputable fairness to the racing. 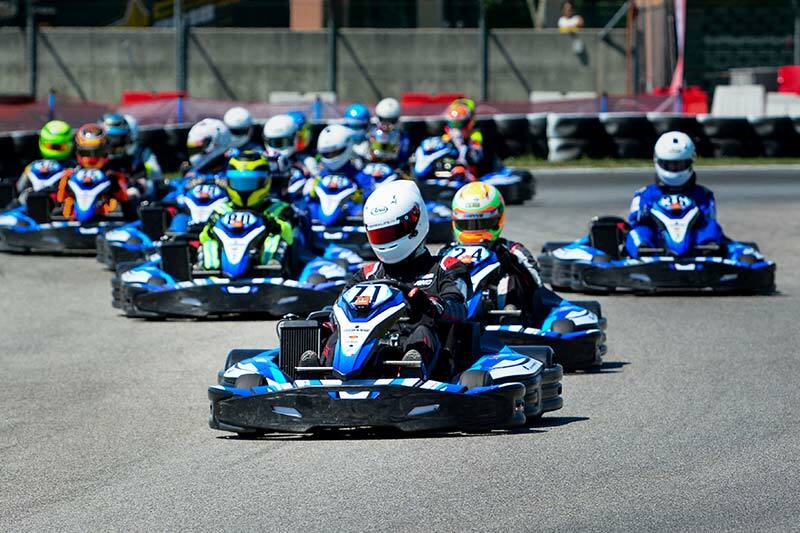 The 2018 Sprint Cup gave rise to numerous fights and twists on the Lignano circuit throughout the programmme's 16 races using the mighty Sodi RX 250s. 74 participants from 29 nations were aiming for the top prize. Three different drivers made their mark in the heats: Lucas Urbani (FRA - Cormeilles Racing Kart), Mickael Mota (FRA - Aerokart) and Denny Görsdorf (DEU - Sax Racing Center Leizig). In the World Masters Super Final, the suspense never faltered. Lucas Urbani led for more than half of the race, followed first by Ruben Conceição (PRT - Kartodromo from Viana do Castelo), then Andrejs Laipnieks (LVA - 333) and Guillaume Lequin (FRA - Racing Kart JPR Ostricourt). But an underdog, Kenny Robles (FRA - Brignoles Karting) came back from 11th position after a collision in front of him at the start and finally took control at four laps from the finish. The battle was raging for the podium and it was finally Mickael Mota who took 2nd place with the fastest lap in front of Lucas Urbani. Georgi Vankov (BGR - Karting Track Lauta) and Andrejs Laipnieks completed the top five of this wild race. 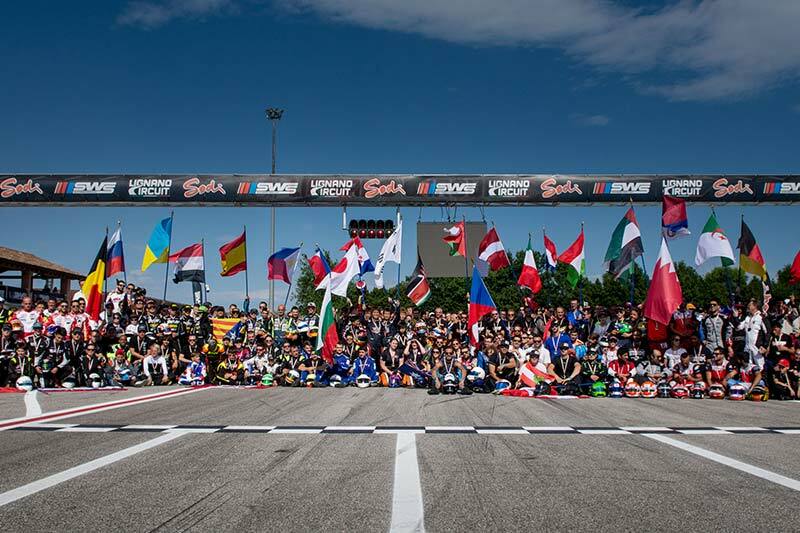 39 participants from 21 countries competed at the wheel of the brand new Sodi LR5 200cc, particularly adapted to the age of young drivers who were divided into Junior and Junior Kid according to their size. Tom Delfosse (BEL - Karting Eupen) won the first heat, then it was the turn of Oleg Zhobolov (RUS - Primo Karting) and Mikhail Evmenenko (RUS - Primo Karting) to win in the other two. The World Masters Final was dominated by the perfect agreement between the two Russian drivers, Zhobolov just ahead of Evmenenko for a strong double. For 3rd place, Justin Adakonis (USA - On Racing Racing Brokkfield) finally defeated Fraser Brunton (GBR - Buckmore Park). Bastien Meunier (FRA - Kartland), Aleksandr Vasilenko (RUS - Mayak) and Nicolo Soffiati (ITA - AFFI Kart Indoor) shared the three Junior heats, but Andrea Ceccato (ITA - AFFI Kart Indoor) was 2nd in the ranking behind his compatriot Soffiati. Starting 3rd, Vasilenko dislodged Soffiati from 1st place in the World Masters Final on the second lap and perfectly resisted Ceccato's pressure to win the decisive race by a length. Meunier found the opening on Soffiati on the last lap and was on the third step of the podium. The 40 best teams of the discipline competed for 12 hours with new regulations adapted to their level, introducing 12 pit stops with systematic kart changes and drivers weighed at each stop. It would be hard to do more in terms of sporting equality. Cine Cascade by Skof (FRA - RKC) took pole position in Qualifying less than 2 tenths ahead of Sunlife Racing Team (ITA - Lignano Circuit) and Racing BH (BHR - Bahrain International Kart). The start of the 12-hour race was at 10 pm on Friday after the fireworks. The battle was very tight during the first hours of the race, the leaders remaining grouped within a few seconds, while the penalties began to fall. Management of the pit stops would then give a new face to the event. Red Racing (ITA - Fun Race), Kart & Diem (FRA - International Circuit of Essay), Racing BH, Modave Racing PPS (BEL - East Belgium Action) and PFV Infinity (ITA - Circuito di Pomposa) competed for the top places. Team Nutria (ITA - Circuito di Pomposa) and Scratck KC (JPN - Kisarazu Circuit) joined the fight during the night, while Modave PPS and Red Racing had a long duel. In the early morning, the classification took another turn according to the different pit stop strategies. The hierarchy was finally evolving as the finish approached. The top three finished the test grouped in less than 30''. After 625 laps covered (750 km), Modave Racing PPS (Kevin Carpasse, Grégory Morin and Fabio Paleschi) won the 2018 Endurance Cup ahead of Red Racing (Julien Azzopardi, Stéphane Panepinto, Michele Santolini and Marco Zipoli), followed within 4'' by PFV (ITA - Misano Adriatico) by Boris Bouvier, Carlo Alberto Capello, Edgard Kanah and Fabio Torri, who had anticipated their pit stops. PFV Infinity and Ciné Cascade by Skof completed the top five. The podium rewarded the winners in the 30'' after the finish. The guests traveled to Venice on Saturday evening aboard Sodikart chartered vaporettos to attend an unusual closing ceremony. The gala dinner was served at the Westin Europa e Regina, a prestigious hotel restaurant next to St. Mark's Square, just in front of the Basilica of Santa Maria della Salute. The winners were celebrated during a particularly well-endowed awards ceremony, while the organisers savored their success as evidenced by the glowing reviews from many attendees. Was 2018, the most beautiful SWS World Final? Certainly, but only until next year!